You'll be £12.99 closer to your next £10.00 credit when you purchase Cracking the Luftwaffe Codes. What's this? Bletchley Park, or 'Station X', was home to the most famous codebreakers of the Second World War. The 19th-century mansion was the key centre for cracking German, Italian and Japanese codes, providing the allies with vital information. After the war, many intercepts, traffic-slips and paperwork were burned (allegedly at Churchill's behest). The truth about Bletchley was not revealed until F. Winterbotham's The Ultra Secret was published in 1974. However, nothing until now has been written on the German Air Section. In Cracking the Luftwaffe Codes, former WAAF (Women's Auxiliary Air Force) Gwen Watkins brings to life the reality of this crucial division. In a highly informative, lyrical account, she details her eventful interview, eventual appointment at the 'the biggest lunatic asylum in Britain', methods for cracking codes, the day-to-day routine and decommissioning of her section. Extremely readable with amusing anecdotes of life in BP and all the interesting characters that she worked with. 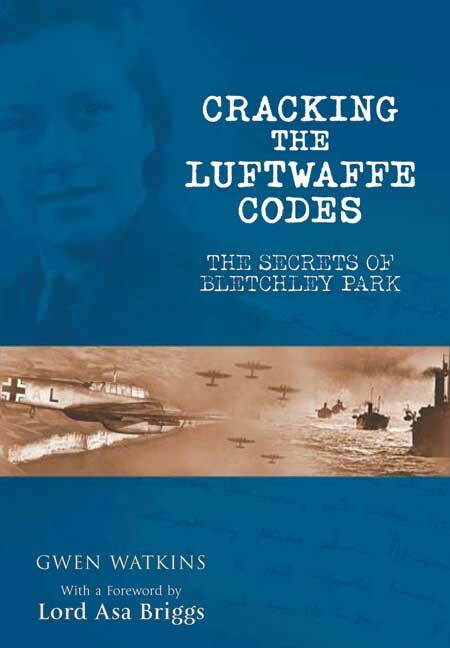 In Cracking the Luftwaffe Codes, former WAAF Gwen Watkins brings to life the reality of this cruel division. In a highly informative account, she details her initial interview and then the eventual appointment at the 'biggest lunitic asylum in Britain', as well as the methods that were employed for cracking codes and the day to day routine and decommissioning of her section. With a foreword from Asa Briggs, this is an intriguing account of life at the secretive institution of Bletchley Park and how its often ecentric personnel helped Britain win the war. A very enjoyable read for all those interested in World War II. Throws much new light on the vital code-breakers . . . deserves to be widely read. Should appeal to anyone interested in WWII or simply looking for a good read. A compelling, insightful history which sheds new light on the war-winning work of Britain’s code-breakers. An intriguing, page-turning and personal account of that most secretive of wartime institutions, Bletchley Park, and of the often eccentric people who helped to win the war. I was recently asked to write a one-page essay answering the question, ‘What has changed since you were young?’ After a great deal of consideration, my essay consisted of one word: Everything. That is why I am so glad that I wrote down everything I could remember about Bletchley Park while my memory was still clear. Nothing like the Park can ever happen again. It is part of a vanished world, encapsulated in a glass, like one of those Christmas snow-globes. You give it a twist of memory and all is action; turn it back and all is still. But it was not any such elevated motive as the accurate rendering of an important piece of past history that goaded me into actually beginning to write; no, it was a much baser impulse. I, and many former Bletchleyites, had been horrified by Robert Harris's novel Enigma, which professed to be an intensively researched account, but was actually a farrago of errors, inaccuracies and impossibilities. 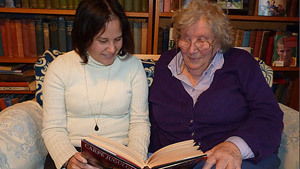 But as I wrote, I saw that the book was turning into an elegy for a lost time, and for places and friends I had loved. There were very few rules at BP. The one Rule which overrode all others was Silence; silence about your own work except to others engaged in it; silence, preferably ignorance, about the work of others, and SILENCE about the Park itself. That would be impossible now; Twitter, Facebook, investigative journalism, would soon be on the track of anything secret. But the great silence was kept then; as far as I know, no single person ever broke it until, sometime in the 70s, the secret emerged. To have lived through a time when thousands of ordinary (and many very extraordinary people) were voluntarily keeping silence for their country's sake seems to me almost unbelievable, and a time to remember until the history of Britain is forgotten altogether.